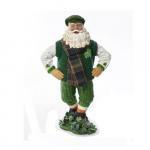 Kurt Adler is one of the leading importers of Holiday Decorations for over 65 Years. Their story began at the end of World War II when the returning Kurt Adler experimented with exporting general goods. As his business grew and European economies began to flourish, he changed direction to importing. Ornaments were first offered in the 1950s. Beautiful handmade angels from East and West Germany found an enthusiastic audience here in America. The line was expanded with Czechoslovakian glass ornaments, German hanging ceiling decorations, and miniature lights from Italy. America became ablaze with festive European style decorations. The next decade, saw Kurt Adler importing product from the Far East. 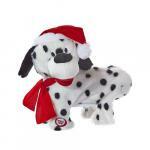 Collectors have been delighted with many items that came alive with music and movement. 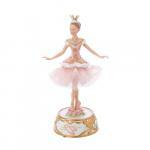 They include the Musical Fiber Optic Nutcracker Suite Ornament, a very popular item here in our Music House Shop. We also stock the Musical Fiber Optic Nativity Scene. Over the past 10 years, The nutcracker which of course, owes its musical roots to the Ballet "The Nutcracker Suite" has blossomed with Kurt Adler’s Hollywood Nutcrackers™ collection of whimsical nutcrackers designed by Holly Adler that feature a variety of designs. They put a unique, vibrant, memorable twist on traditional nutcrackers. 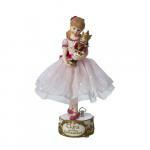 We are very pleased to be carrying The Nutcracker Suite line and their musical decorations and ornaments. Just a reminder that Christmas, which is one of the most awaited festivals in the world will be approaching soon & because many of you will be wondering what to gift your loved ones this year, you might think about starting early to look for the perfect gift for your family, friends, neighbors, siblings, boss, colleagues, etc. to avoid buying your presents in a hurry, having to settle on what is left, which of course will come with a great deal of exasperation. To save you from the exasperation of last-minute Christmas shopping, we invite you to browse through our various collections today. What makes our gift selections unique is the fact that they are all “Music Themed” or actually play music.